Milestones here at Need To Know Publishing are bittersweet. We are unbelievably excited to be holding physical copies of our first books. However, these three books are a painful reminder that Need To Know Publishing started off as three. Three partners. Three co-authors. Three dads. Three close friends. 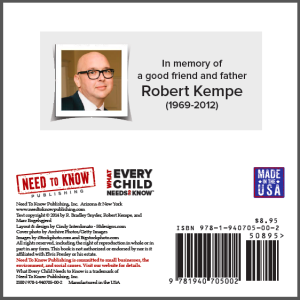 We miss Robert. 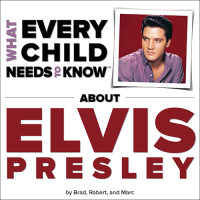 What Every Child Needs To Know About Elvis is dedicated to him, but, in a real way, so is everything we do.